Little TODIE is about 11 years old, he has a microchip but his family hasn't come for him. He has some pretty bad teeth that give him trouble when he eats so he will need dental work to feel better. Please SHARE so this sweet guy can find a Home for the Holidays. A FOSTER or Adopter would save him. Thanks! 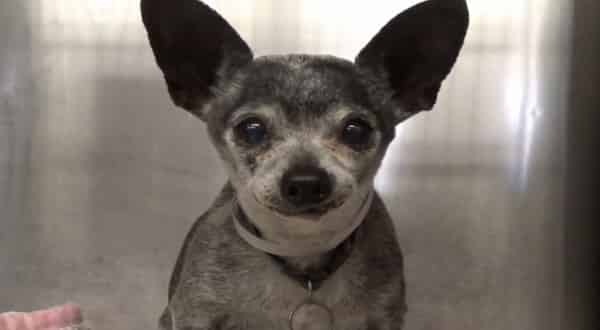 #A3914938 My name is TODIE and I'm an approximately 11 year old male Chihuahua. I am not yet neutered. I have been at the Carson Animal Care Center since 12/4. I will be available on 12/14. You can visit me at my temporary home at C401. TODIE didn't pick the owners who didn't care for him, let's help find ones who will. 1 Response to "TODIE owners didn't care for her, nobody wants him, 11 year old chi with zero inquiries"
So beautiful :'( Ilove you. Still available? I'm at work .. cannot seem to be able to find update..